We're pleased to announce the completion of our Bike Hub located just a stone's throw from the beachfront at the end of the Great Taste Trail! We've got a full set of tools, a bike work stand, bike pump and pressurised water - oh and don't forget the shade sail! Make repairs, clean down your bike and perform maintenance at the Kaiteriteri Bike Hub. With everything from work stands, bike pumps and pressurized water, the Hub is your one stop shop for any repairs or maintenance on the fly! The hub also offers useful information like recommended circuits, track grades and information, emergency contacts and health and safety guidelines! 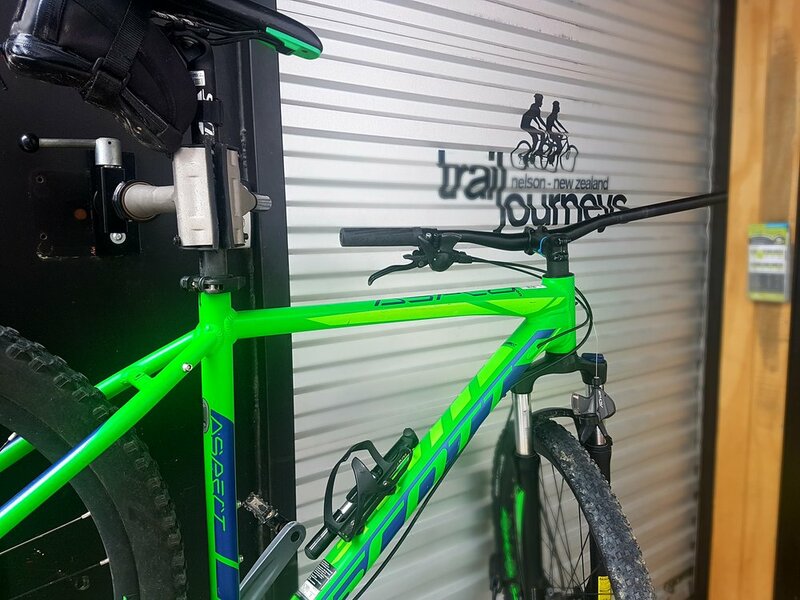 If the jobs too big, you can always drop into the Trail Journeys workshop and they'll be happy to help with their range of additional equipment and specialist knowledge.